How will the products be delivered? Is it possible to place a trial order? What should I do with damage due to transport? Is it possible to trace my order? Do the products have warranty? If so, how does it work? Can I use this product with my computer? How are the prices shown on the website? The shipping costs are 107,24 zł (exc. VAT) per order, irrespective of the number of items on the order. Shipping is free on orders over 1.501,36 zł. Free shipping is only valid for online orders and with the exception of industrial mats. In some cases extra shipping costs will be charged in case of large shipments. We will notify you about extra shipping costs before shipping. If you mention your email address during the ordering process or on you purchase order or in your email, you will receive an order confirmation by email. Ergo2Work gives you the possibility to try our products for a period of 28 days. You can order the product(s) online, by e-mail or fax and mention that it is about a trial period. When the product doesn’t really fit your needs you can send it back (not only in the original productpackaging but also in an extra box) at your own expense. A returned package must be provided with a copy of the invoice. When the product and original packaging are undamaged and in original shape the invoice will be credited. We don't accept products which are damaged or incomplete, or without the original packaging. Electric tables, table tops, Lounge2Work, chairs, mats and software are not available for trial. Ergo2Work tries to send your order as quickly and efficiently as possible. If you have a complaint about our products or our service, please do not hesitate to contact us by phone or by e-mail. You can reach us on workdays between 08:00 - 18:00. We always strive to resolve your complaints as soon possible, should you choose to e-mail us you will usually receive an answer within a few hours, with a maximum of 5 workdays. Ergo2work gives a wide-ranging guarantee on the products it sells. The minimum duration is one year. The guarantee covers repair or replacement of defective products but does not cover misuse or damage by the user. If the product is shown to be defective within 30 days, Ergo2work will send a replacement. After 30 days, the product may be sent in for repair. If you have a complaint about a Hippus Handshoemouse, please contact Hippus directly (info@handshoemouse.com). If you have a complaint about a Microsoft product, please contact Microsoft. Ergo2Work is responsible for any damage that might occur during transport. After the product is delivered, and you sign for it, the responsibility will be for the customer. Therefore we advise to always check the package for damage if it arrives before you sign for it. Should you receive a damaged package, refuse to accept it and give us a call. This way we can directly send you a new product. From our experience we can say with confidence that the chance of damage due to transport is very small ( 1 on 1000 shipments ). Should you have any other problems do not hesitate to contact us. You can pay by transfer: You can transfer the amount to the bank account of Ergo2Work. As soon as we receive the amount we will send your order. You can pay by creditcard: You can pay the amount by VISA, Mastercard or American Express. We receive the amount practically direct and we will send your order as soon as possible. You can pay by PayPal: You can create an account on Paypal where you enter your personal data. For al following transactions you only need your e-mail address to pay. This payment method is safe, fast and easy. PayPal takes the payment from your card or bank directly, and your payment details are never shared on the internet. We can not accept cheques from the UK, Germany or Ireland. Ergo2Work strives to send your order as quick as possible, unfortunately the delivery time depends on the availability of the product. If we have the products in stock, the delivery time will be 1 - 3 working days. In general, all of the products that are listed on our website are in stock, should this not be the case then the delivery time will be between 3 - 20 working days. Please note that the delivery times that are listed on the website give you an approximate delivery time, should the product take more then a week to deliver, we will keep you updated by mail. Of course you can always cancel your order if the delivery time becomes a problem, this can be done by phone or e-mail. For questions about the delivery time you can always contact us. If you choose to buy a product, we would like to ask you to check if you can use it. Almost all our products can be used with a USB/PS2 connection and work on both a Windows or Mac system. This information is usually located at our product page. If you are unsure if a product will work or if you cannot find the specifications, do not hesitate to contact us. What are the prices shown on the website? The prices that are shown on our website are excluding VAT and excluding shipping fees, unless stated otherwise. The prices are subject to change, untill the moment you receive the order confirmation. Ergo2Work remains the right to cancel your order should a product be taken out of production, any payments you will have made will be refunded. In accordance with the E-commerce guidelines about VAT for online services ( Council Directive 2002/38/EG ) the Dutch percentage of 21% applies for all countries belonging to the European Union (EU), since Ergo2Work is based in The Netherlands. EU-companies are exempted from VAT if they provide a VAT number. Residents and companies from non-EU countries are also exempted from VAT. The customer has the right, up to 14 days after receiving the products, to cancel the order. No reason need be given. You may cancel your order by e-mail (info@ergo2work.pl), telephone 0031-24-3296116 or fax 0031-24-3244084. The order number should be clearly stated. If you have already received the ordered products, you must return the product in the original, unopened packaging to: Ergo2Work BV, Postweg 50, 6523 LD Nijmegen, The Netherlands, for the attention of the E-commerce department. Risks and costs for the return delivery are the customer's responsibility. When the packaging has already been opened we can only accept the package if it is not damaged and has the original packaging. As soon as we have send your order you will receive an email with in there a link. 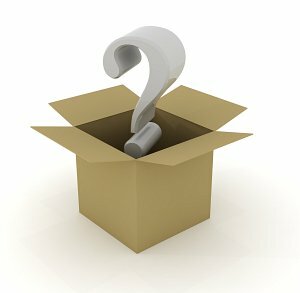 By clicking on this link you can trace your package.